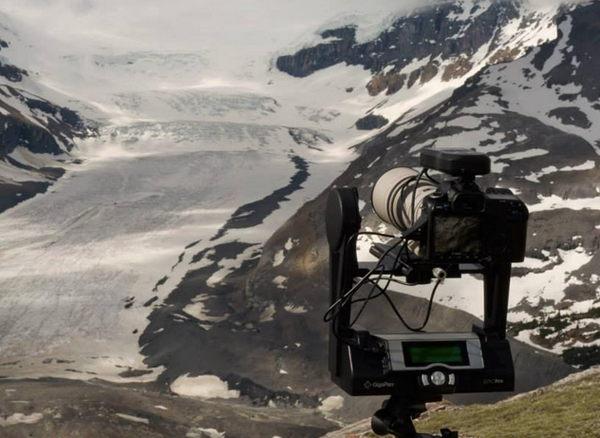 Led by Joe Poulton, the Columbia Icefield Gigapixel Project (CIGP) is creating a series of ultra-high-resolution images of Western Canada’s Columbia Icefield. Beyond the fun of zooming in on the glaciers and surrounding landscape, the images are helping to enhance local studies of the area, and raising awareness of changes along the Columbia River Basin. Project Pressure caught up with Joe to find out more. Tell us a little bit about the Columbia Icefield. The Columbia Icefield rests along the Banff Jasper Highway, aka Icefields Parkway. It is one of two hydrological apexes, the other being Triple Divide Peak in Montana, that provide a source of fresh water for three major watersheds in North America. The watersheds fed by the ice and snow that flow away from the slopes of Snow Dome on the Columbia Icefield include the Columbia, Athabasca and Saskatchewan Rivers. These drain into the Pacific and Arctic oceans, and Hudson Bay. What’s the aim of your project? 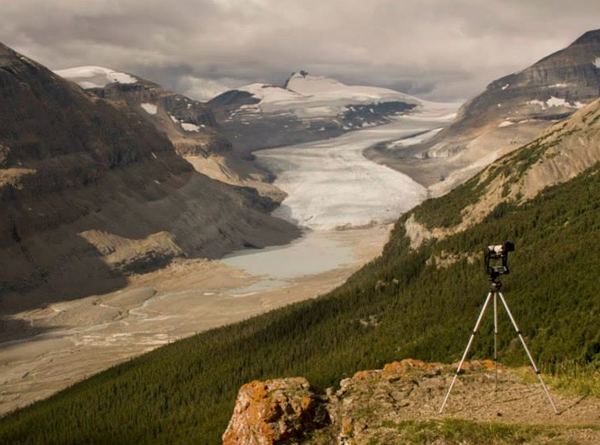 The basic initial stage of the project is to acquire high resolution photographic imagery of all the aspects of the Columbia Icefield from specific locations surrounding and on the Icefield. 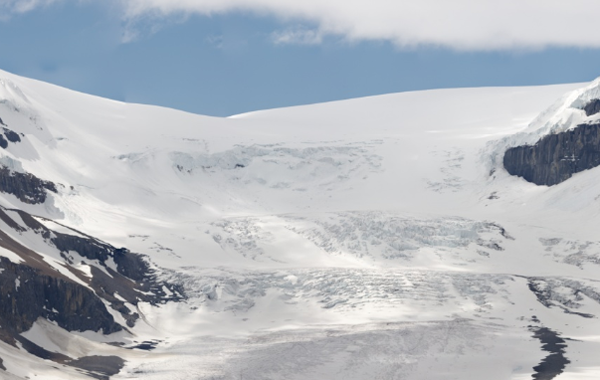 These high resolution images will provide an additional dataset for Dr. Mike Demuth of the University of Saskatchewan to utilise alongside his Icefield studies. Dr. Demuth and his team have been conducting research on the Icefield for the last three or four years. The more complex part, if all goes well, would be to use this project as a tool for the public along the Columbia River watershed to prepare for the changes that could alter how we use the Columbia River as an economic resource in various segments of commerce. 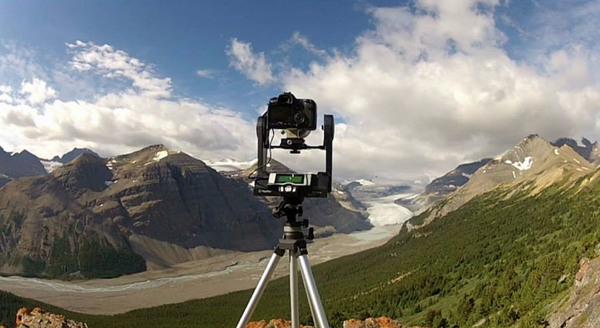 What makes gigapixel images more useful than simply high-resolution images? If you take one exposure from a given location with a 10 to 30 megapixel camera or even a medium format digital back at 60 megapixels you still have only that given information to study from a mapping or scientific perspective. But if you take that same camera and attach a telephoto lens with a panoramic rig you obtain a lot more information. Through the post production process – putting these hundreds or thousands of individual images together to create one image – an environment record is created. In this case, Dr. Demuth and his team can look at the details of terrain that they may not be able to visit in person. Which other visualisation tools interests you and why? The aerial tools that Sensefly just attacked the Matterhorn with look incredibly promising. I want to see it with higher resolution… and better clarity. The applications would be endless if I got my hands on this tool for the CIGP. However, the proper weather windows on the Columbia Icefield can be sporadic and few. I’m also getting more interested in video to tell the story behind the images and the project. I practically grew up on glaciers, skiing at four years old on Mount Hood in Oregon. My first climb of Hood was when I was 19 via Leuthold Couloir above the Reid Glacier on the west side of the mountain. Over the years the view from Portland of that west side has become more saddening each summer as the continuing melt occurs and the lack of ice continues. So, you could say I like glaciers and am hopeful for an ice age! Wow, that’s a big question… provided my future trips aren’t solo and I have continued funding, I expect to go for some larger objectives that include Bryce via the North Face, Columbia for a good ski outing, Tsar, Queen or Rook, and Alberta. However, if I’m solo again, I still have Nigel, Wilcox and Saskatchewan to tackle and get gigapixel images from those summits along with retakes at Parker Ridge each summer during the life of the Project.